We’ve been thinking for a while about how Lamplight might be able to help you visualise and reflect on the data it produces in reports. Tables of figures are all very well, and charts can help, but can sometimes be difficult to tell the whole picture. Infographics (this is one of my favourites, at http://www.informationisbeautiful.net) can help to tell a fuller story. 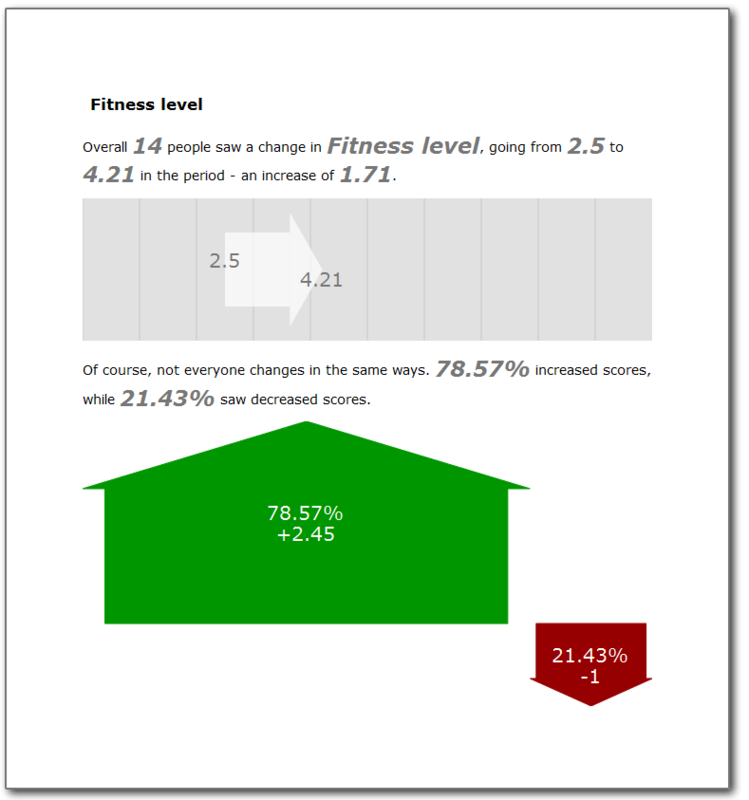 In the first part, the background bar is scaled to the minimum and maximum possible values for the measure, and the arrow shows the average start and average end scores for all our service users (of course this is fictional data). The second chart shows some distribution: the width of the arrows is proportional to the number of people that saw positive or negative (or no) change; the height is proportional to the amount of change they saw (on average). We’d be really interested to hear feedback on whether this helps, and what other measures and graphics might also be useful.